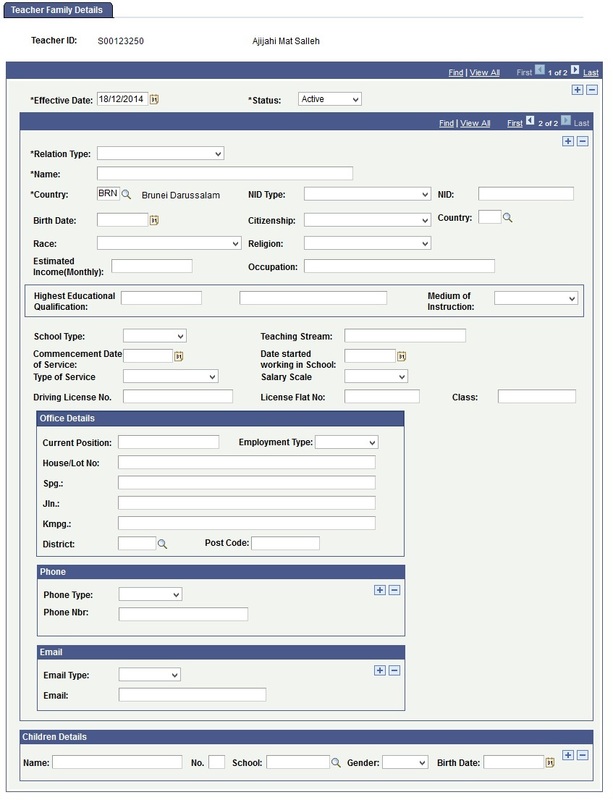 This function allows the users to maintain teacher personal data by searching and updating the teacher family detail information. 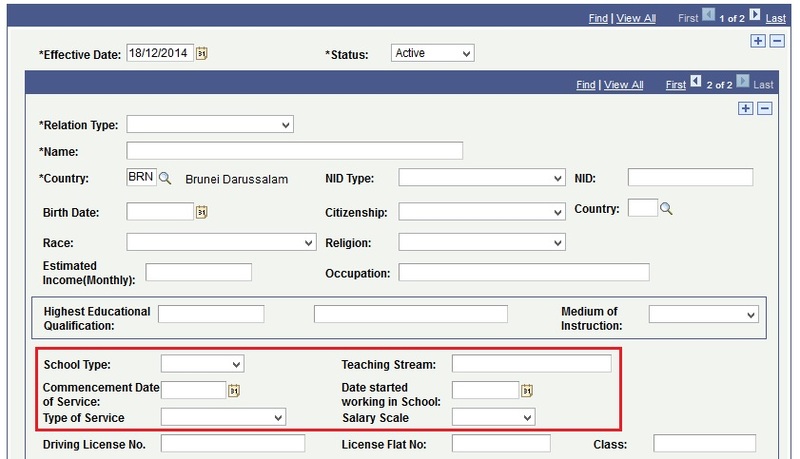 Fill in the information of the teacher by either the ID, National ID (Eg: 00111111) to search. Click on Search button or press enter on the keyboard. User will be directed to Teacher Family Details page. Click on the ‘+' button on the top right of the box to update teacher family details. User can update existing family details. Click on the ‘+' button on the inner box to add a new family details. User will need to fill in the family details. Note: Fields with (*) indicates that they are required. User will not be able to save the page if any one of them is blank. User needs to fill in this section if the Relationship is Spouse and the Occupation is a Teacher. Click on Save button to save the edited family details.